Sean is a native of Dover, NH, who has been working in the food service industry for 13 years. After graduating from Johnson & Wales University with a degree in culinary arts in 2011, he went on to cook around Nantucket and the seacoast of New Hampshire, focusing on local and sustainable cooking particularly tied to whole animal butchery. After backpacking through Europe, he and his now wife, moved to Providence where he worked at Local 121, eventually becoming head chef. Most recently, he helped open Farm & Coast Market in South Dartmouth, MA, as a butcher and chef. Sean started out as a volunteer with our RI Farm to School program until moving on to work with Harvest Kitchen. Molly started volunteering at Farm Fresh RI’s Pawtucket Wintertime Farmers Market in December 2008 on a whim and just kept showing up. 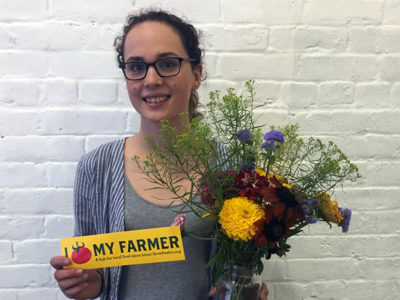 Working for Farm Fresh RI opened her eyes to the local food movement and the larger environmental movement, causing her to change her concentration at Brown University from English to Environmental Studies. 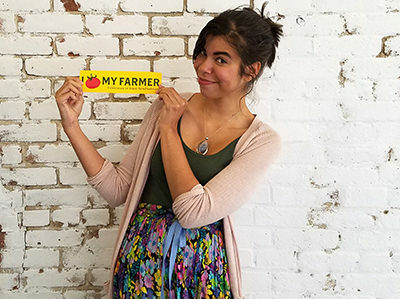 After a year as an AmeriCorps VISTA, Molly started full-time at Farm Fresh RI in June 2013. She assists the Farmers Market Program Manager and the Finance Director with behind-the-scenes data and numbers work, as well as working on the ground managing the Bonus Bucks Nutrition Incentives program and assisting at farmers markets. 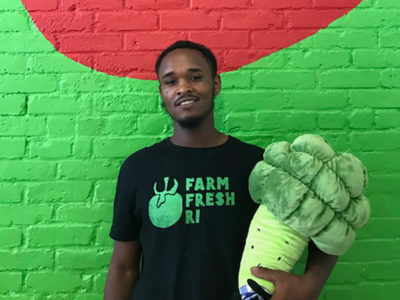 João is a Pawtucket native and joined Farm Fresh RI in January 2019. He is passionate about sustainable community food systems and is eager to continue working toward improving food access for communities across the state. Prior to joining Farm Fresh RI, João worked at Southside Community Land Trust (SCLT). It was during this time that he was first introduced to growing food in an urban setting. While at SCLT, he managed the Galego Community Farm, which is a 1.5 acre urban farm located at Galego Court in Pawtucket. 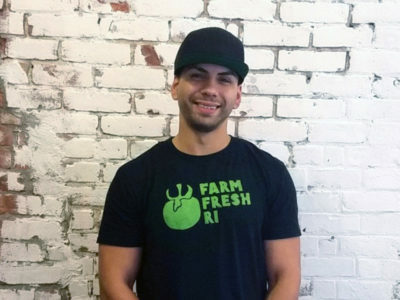 João has also worked on farms in South Providence and Cranston. João graduated from the University of New Hampshire with a B.S. in Environmental Conservation & Sustainability. He can be found gardening in his garden plots at Galego Court, finding new farmers to volunteer with and learn from, and planning his next trip to visit family in the Açores. 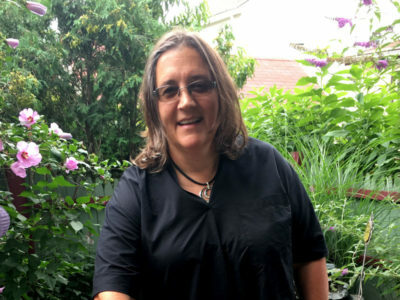 After establishing a farm stand and mail order citrus business with her parents and grandparents after high school, Sheri attended the University of Rhode Island, receiving a Bachelor of Arts degree in English and biology. After graduation, she entered the nonprofit world, beginning as Director of Development and Publicity at AS220, a nonprofit arts center in Providence. Since then, Sheri has worked at a range of nonprofits of various sizes and has become active in her neighborhood, working with other volunteers to keep a library branch open and starting a community garden. Jesse is from Algoma, Wisconsin, a small town near Lake Michigan surrounded by farms and fishing boats. His family tree is populated with cheesemakers, barbers and general store owners—needless to say, entrepreneurship, and supporting local businesses are in his blood. Growing up, many of the core industries in Jesse’s small community locked their doors and family farms were replaced by factory farms. These dramatic changes inspired Jesse to understand how communities could revitalize themselves economically while preserving their unique sense of place, cultural traditions, and environmental integrity. Since earning a Masters Degree from the Heinz School of Public Policy and Management at Carnegie Mellon University, he has worked locally as a nonprofit manager, nationally as a researcher and advocate, and statewide as program director and communications specialist. 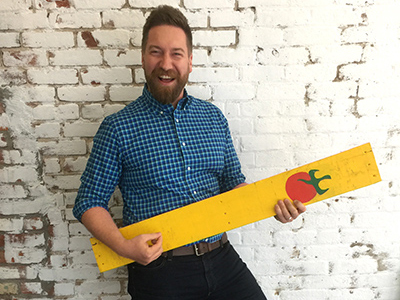 At Farm Fresh, Jesse oversees all social enterprise programs, strategic financial management, communications, technology development and human resources. In the past 5 years, he has worked with the board and leadership staff to double the organization’s operating budget and staff, while maintaining a balanced budget. 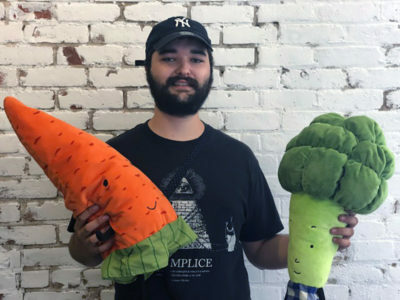 Jesse devotes much of his time to the development of the new RI Food Hub and serves on the RI Food Policy Council as a member of the steering committee and the Food Solutions New England Chair. Jesse is an avid pickler and a fledgling potter who dreams of making his own fermenting crocks. Taylor grew up surrounded by family gardens — her grandparents even housed some chickens in their backyard. Always hearing her mother pine for the first tomatoes of the season, it wasn’t until a trip to Italy a few years ago that Taylor truly got it. On that trip, she spent five months volunteering on farms in Italy, Greece, and Japan. While trying her hand at making goat cheese, caring for emus, and milking cows, she lived the connection between farmers, animals, the land, and the food that we eat. After returning stateside, she began her Farm Fresh RI journey, first serving as an AmeriCorps VISTA member, and now acting as our Nutrition Education Associate. In her spare time, she loves illustrating, playing with her pet rats, and learning about cheesemaking. Lucie grew up on a small farm in Exeter, where her family raised beef cattle and pigs. Growing up, she and her brothers were very active in 4-H, and showed their cattle at many local and regional fairs. The farm also grew crops for a roadside stand that offered a large variety of fruits and vegetables, with strawberries and sweet corn being the specialties. Lucie has worked in real estate development — both the for-profit and nonprofit sectors — since 1982. She is especially known for her achievements in revitalizing downtown Providence, evidenced through the three award-winning real estate projects she has developed for AS220 and her ongoing efforts through the Providence Preservation Society. 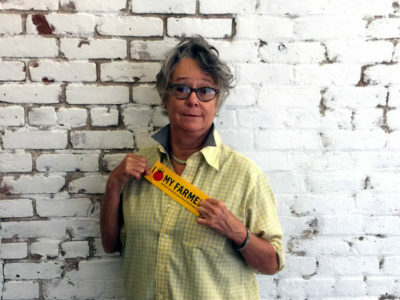 Lucie is one of the original Farm Fresh RI board members, serving for nine years. 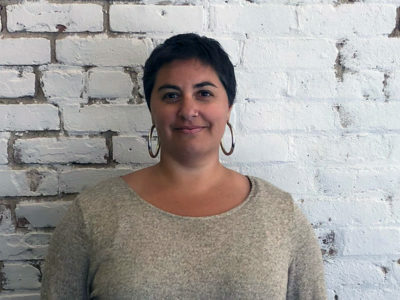 She stepped off the Board to focus on RI Food Hub development in a professional capacity. Rebecca grew up in Providence and graduated with a BA in Classical Studies from Brandeis University, outside Boston. From there, a burning drive to see the world led her to travel extensively and reside in various locations out west. After more than a decade working as a communications consultant for large clients like technology companies, Rebecca longed for a greater sense of shared mission and values than she’d found in the corporate world. Rebecca was drawn back to her family in Rhode Island and the state’s vibrant agriculture and food scene. Now she’s planted fresh roots in Pawtucket and found like-minded community at Farm Fresh RI. She leverages her years of experience to share Farm Fresh RI’s message, help our local farmer and producer partners thrive, and grow our local food economy. An Ohio native, Rachel Van Scyoc is learning all about Rhode Island and living on the east coast. Rachel is a graduate of Capital University in Columbus, Ohio, with a degree in Communication Studies and Public Relations. 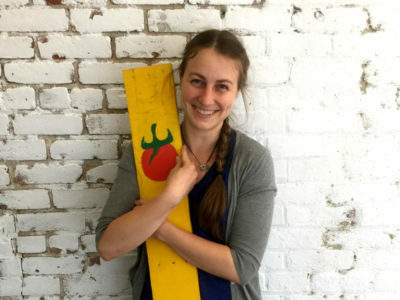 As the AmeriCorps VISTA Volunteer Coordinator for Farm Fresh Rhode Island, Rachel is eager about the opportunity to recruit volunteers to help Rhode Island’s residents shop and eat locally. Thea moved to Providence in 2004 to attend Johnson & Wales University and graduated with a degree in Food Service Entrepreneurship. She has spent the past 10 years working with food in different capacities — as a chef, farmers market vendor, and farm hand — and has always been mindful of linking her work to the larger local food system. She firmly believes that the decisions we make about what we eat and where it comes from can have great impacts on the health and welfare of our local community. Thea ties these ideals into her work at Farm Fresh RI every day. 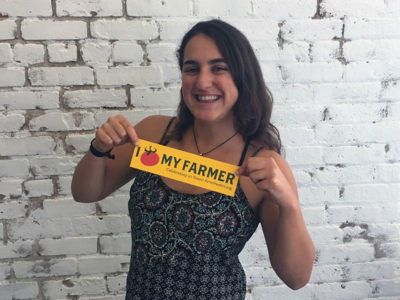 Shannon first learned about local food systems at the Maine Coast Semester program in Wiscasset, ME, where she did farm chores, volunteered in the kitchen, and learned in the outdoors along with other students. Since then, she has dedicated her work to improving access to fresh, healthy food. During summers, she worked on an organic farm near her hometown in Connecticut and cooked in a kitchen to feed large groups of folk dancers in Massachusetts. 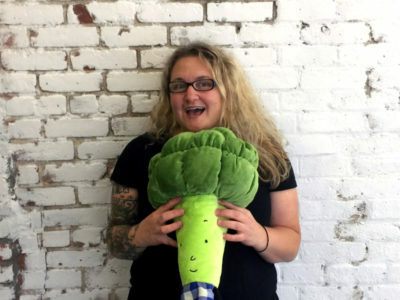 She graduated from Mount Holyoke College in 2018 with a degree in Environmental Studies, after leading a student garden project and running the first Real Food Challenge calculator audit at the institution. 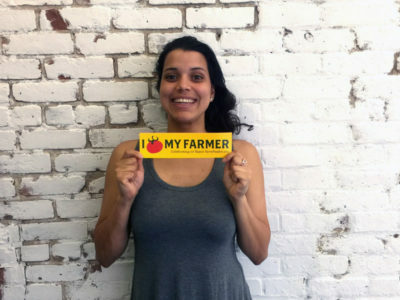 She is excited to support connections between food producers and providers with Farm Fresh RI as part of the Food System Enterprise team. In her free time she enjoys traveling to folk festivals and dance weekends and trying out new bread recipes. 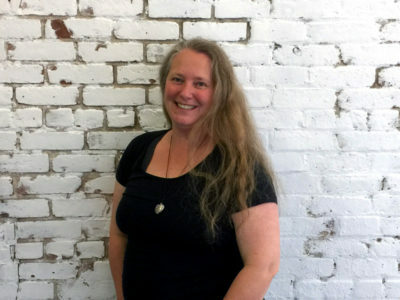 Leigh has been working toward food system sustainability in New England for a couple decades. Over the years she’s come at this work from a variety of angles including as an urban gardener, writer, marketing and PR specialist, event planner, and most recently, restaurant owner. After five years in Providence, she feels deeply rooted to the Ocean State’s food community and committed to making fresh food accessible to all. Leigh is the recipient of the 2018 Eddy Award for Best Social Issues Feature for her story on immigrant farm labor in New England in Edible Rhody. She is also one of the co-owners of Troop, a lively restaurant in Olneyville, and a member of the Rhode Island Food Policy Council. Leigh holds a bachelor’s degree in sustainable agriculture from Sterling College, and a master’s degree in English from Simmons College. She gardens at a community plot on the West Side of Providence. Jen has a BA in Biology from URI, a Food Managers Certification through the RIDOH, and a NOCTI certification through RIDE. Before joining Farm Fresh RI in 2009, Jen taught at Tides Family Services for 10 years. There she completed years of trauma and de-escalation training. She obtained a SME-ACRE certificate through the RIC Sherlock Center and participates in professional development opportunities on secondary education advocacy through RIPIN. From 2010-15, Jen worked as educator and program designer for Harvest Kitchen. 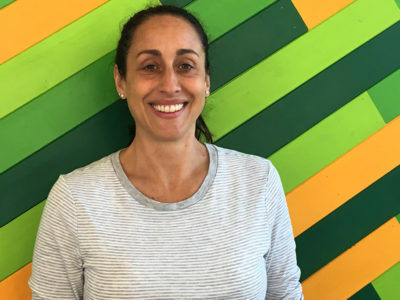 Jen is an empathetic and kind mentor and teacher, and is a steady force in the lives of the youth — who regularly contact Jen to stay in touch after graduation, and often drop by the kitchen to update their resumes and discuss job search strategies. Jen is a truly gifted educator with this population. Liesl is a New Hampshire native and went to Keene State College to get her B.A. in English. She grew up in a small town passionate about community service, and that passion has become a natural part of her ambitions through her life. She spent several years working on a local, family owned berry farm in southern New Hampshire and that experience, among others, greatly interested her in supporting and advocating for locally grown food. 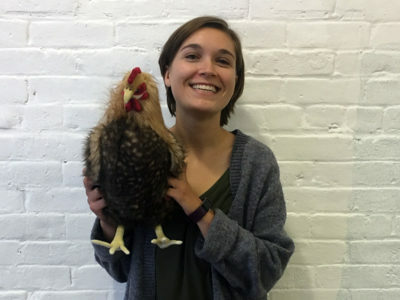 She found her way to Rhode Island soon after graduating college and started her AmeriCorps VISTA service with Farm Fresh RI in 2018. She’s excited about learning from, helping, and experiencing the local community! 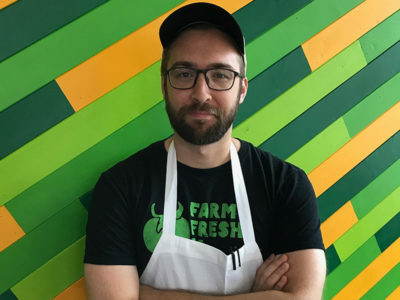 Alexander keeps the bits flowing under the hood of Farm Fresh RI’s software, and helps navigate the constantly evolving tools of technology that serve our multiple programs. 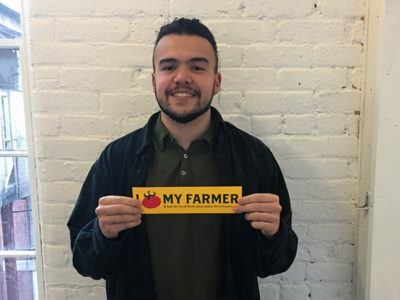 He works on creating solutions from a holistic systems approach, and believes that technology can help strengthen and connect all aspects of local and regional food networks. 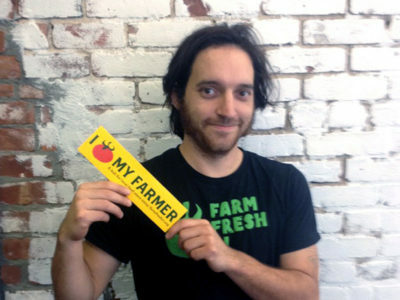 His passionate love of sustainable and community-centered food practices is driven by both his ideals and taste buds. Before entering the world of software and technology, Alexander had been a public librarian, taco truck driver, park ranger, community organizer, and bartender. 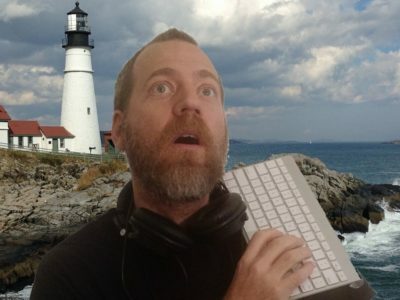 When not dreaming in code, he loves spending time with his wildly imaginative children, drinking large quantities of tea, practicing Taijiquan and long-boarding, gardening, and dreaming of utopian futures. Rose was born and raised in Westerly, RI, where she grew up getting her hands dirty in her family’s garden, community gardens, and even as a farm hand at an organic vegetable farm in her hometown. She is a recent graduate from Eckerd College where she studied Biology and Environmental Studies. While in St. Petersburg, FL, she interned with the Edible Peace Patch Project, gaining experience with garden-based education. Now very passionate about spreading appreciation for healthy foods with others, she joined our team as our Growing & Garden AmeriCorps VISTA. She will be working with a variety of our Nutrition Education programs including our Farm to School program and Healthy Foods, Healthy Families. As a board member, I get to live my values that locally grown food is not only nutritious and delicious, but creates important economic opportunities, provides health benefits and community engagement, and reduces environmental impact. I am grateful for the opportunity to support leadership and staff in any way so that together we can achieve the mission and vision of this very important organization. 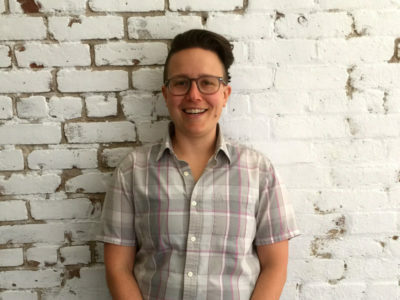 Sarah comes to Farm Fresh RI with a lifelong commitment to social justice and a professional background in youth work and organizational development. She is thrilled to work with farmers, producers, and customers as the Program Director for Food System Enterprise. Previously, Sarah served as the Director of Operations at The Learning Community, a high performing urban public school in Central Falls. At The Learning Community, she managed the logistics of the school’s operations, including expanding the food program to include more fresh fruit and vegetables. She was also a founding board member of Girls Rock! Rhode Island, an organization that uses music creation and critical thinking to foster empowerment, collaborative relationships, and healthy identities in girls and women. She loves to cook with fresh food from local farmers and her own garden. As an Environmental Studies major focused on Religion/Philosophy, Onne learned early on the significance of cultivating good habits within communities in order to make sustainable change. Onne has experience working with Farm Fresh RI on both Community Access and Food System Enterprise efforts. 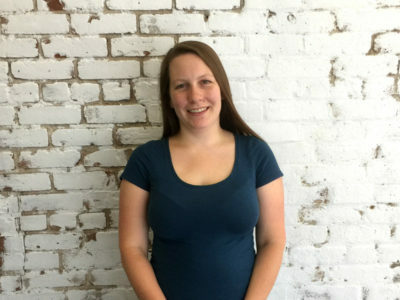 She first came on board as a summer AmeriCorps VISTA member for the Healthy Foods, Healthy Families nutrition education program, and has since been at Farm Fresh RI in different capacities. The overall Farm Fresh motto of connecting local food to local people aligns with Onne’s personal outlook on encouraging positive change. Paula is a local urban gardener with a love for growing and eating fresh, organic produce. A trip to Italy sparked a desire to change the way she feeds herself, after being deeply impacted by Italians’ passionate relationship to food and the Slow Food movement there. Since that impactful trip, she has dreamt of farming in Tuscany. By joining the Davis Park Community Gardens, as well as becoming a beekeeper, she has been able to make this dream a reality right here in Providence. Paula brings with her a first-hand knowledge of running a small business, in addition to her knack for numbers. She is excited about all that Farm Fresh RI is accomplishing and being an active member of the sustainable food movement in Rhode Island. Osbert was born in Liberia in 1994. He came to the US with his Mom in 2000 when he was five years old. He grew up in Providence and currently lives in Pawtucket. He graduated from high school in 2012. 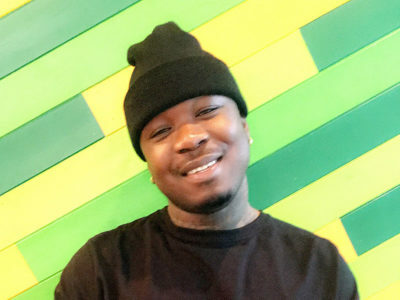 He is a Harvest Kitchen graduate and advocate. He works to enthusiastically sell Harvest Kitchen youth-made value-added products at both winter and summer farmers markets in Rhode Island. Personally, he enjoys spending time with family and friends, listening to music, and making others happy.